Elegance and honourable come together in this peach colored party wear printed rayon long kurti. The kurti is made of rayon fabric attached with rayon inner and has a unique embroidery which looks so pretty. 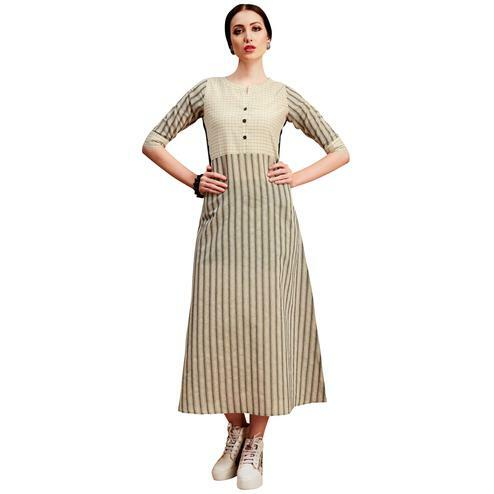 The asymmetrical pattern is the unique element of the kurti. 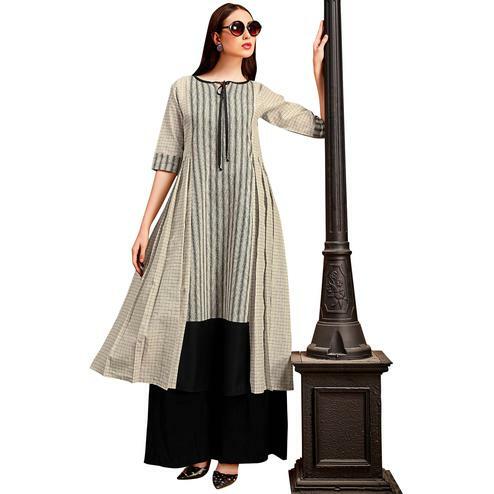 The kurti can be paired with leggings or any bottom of your choice. You can wear this at parties, social gatherings, kitty parties, festivals. You can wear this with your favourite accessory and jewellery of your choice.